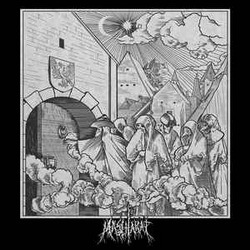 A brilliant work of atmospheric Renaissance Black Metal from Milan, Italy inspired by ancient tradition and Venetian carnival. This symphonic conspiracy of darkness has been crafted by anonymous shadows. Hidden behind the Bauta they reveal a midnight revel of secrets, subversion and clandestine ritual as the mask emancipates man to follow the true path of occulta philosophia. As a whole work the album is an impressive narration which forms a conceptual allegorical tale.